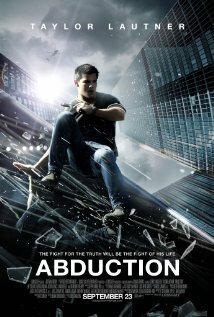 Taylor Lautner stars as a young man unwittingly thrust into a deadly world of covert espionage in Lionsgate's action-thriller, ABDUCTION, directed by John Singleton. For as long as he can remember, Nathan Harper (Taylor Lautner) has had the uneasy feeling that he's living someone else's life. When he stumbles upon an image of himself as a little boy on a missing persons website, all of Nathan's darkest fears come true: he realizes his parents are not his own and his life is a lie, carefully fabricated to hide something more mysterious and dangerous than he could have ever imagined. Just as he begins to piece together his true identity, Nathan is targeted by a team of trained killers, forcing him on the run with the only person he can trust, his neighbor, Karen (Lily Collins). Every second counts as Nathan and Karen race to evade an army of assassins and federal operatives. But as his opponents close in, Nathan realizes that the only way he'll survive – and solve the mystery of his elusive biological father – is to stop running and take matters into his own hands.